to their new home at Immaculate Conception. 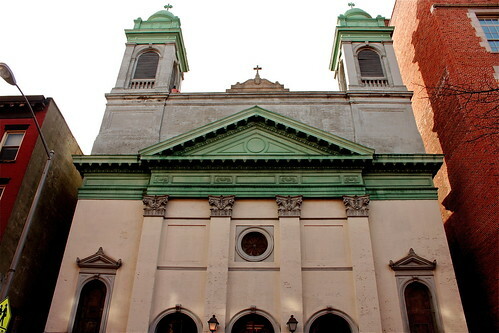 The bells – alarm bells, that is – sounded at a recently shuttered church on East 12th Street. Around 11 p.m. last night, a security alarm went off at Mary Help of Christians, seemingly in the rectory. The sirens sounded the same day acts of apparent vandalism were discovered inside of the church, but were no cause for concern: a police car pulled up in front of the church only to depart minutes later. 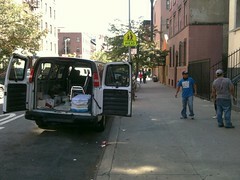 Jo Messina, a secretary at Immaculate Conception, told The Local there was no break-in. “Sometimes the sensors will detect if there are rats or mice,” she said. Yesterday a source told The Local that the church’s alarm hadn’t been set when – sometime between Sunday and Monday morning – marble around the main tabernacle was smashed, a smaller tabernacle above the side altar was also damaged, and a hole was punched through the wall in the sacristy. 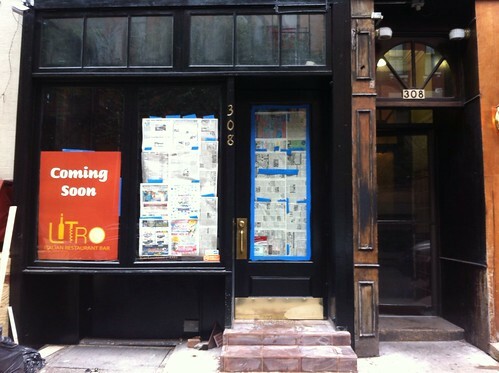 According to a tipster, signage for an “Italian restaurant bar,” Litro, has gone up in the old Zerza space at 308 East Sixth Street. Stay tuned for more.